Nobody told me settling a new planet would be this relaxing! Simple but fun gameplay; beautiful alien world; interesting story for campaign; easy to get into; very relaxed atmosphere. Buildings are hard to distinguish; campaign story is incomplete; very little sense of progress to campaign. When it comes to strategy games I tend to like them relatively easy to understand. I’m more apt to sing the praises of Civilization than I am Europa Universalis for example. I’ve spent countless hour with Galactic Cilivations 1 and 2 but can barely get into the X series of games. So, when a game is a bit on the easy side I don’t exactly mind it but I’d prefer there to be some more meat on the bones. Aven Colony is in a rather weird place in that regard. It’s not exactly what I would classify as an easy game but it is an intensely simple one. How that resonates with you is really going to depend on what you want from your strategy games. When you boot up the game you’re presented with a very simple, but effective, setup. A colony ship is hovering in orbit over Aven Prime, a habitable world that is going to be humanity’s first space colony. You will step into the role of a colonial governor. It’s up to you to help settle multiple colonies across the planet. This is brought to you via a pretty interesting story as you go through each of the campaign levels. These levels are relatively easy to begin with and they serve as an introduction to how the game is meant to be played. Each of your various advisors aboard the home ship will be giving you objectives to complete that help guide your colony to success. 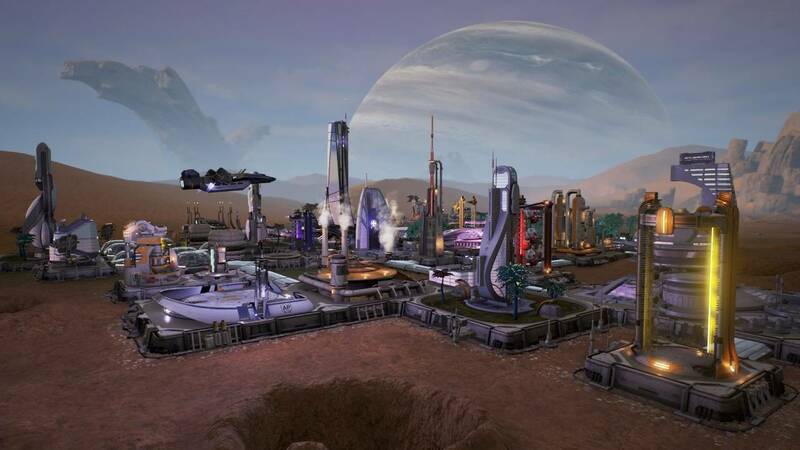 As you complete these objectives you will be given the choice of supplies, nanites (money) or even settlers. This is good since it does guide you on how to properly build a functional settlement while also giving you bonuses for doing so. In many ways, this allows the campaign to serve as a tutorial for the sandbox mode where you can set things up to be much more complicated if you so prefer. However, if you’re the sort of player who hates being told what to do when playing a strategy game this will grate on you very quickly so you should probably jump over to sandbox ASAP. You would miss out on the story if you did this but, oddly enough, the storyline has no real conclusion. It just sort of… ends. There’s no conclusion to it so it seems like they’re going to make us wait for more content before it resolves. Not exactly ideal. With that said even though the campaign is fun, giving you a tutorial feels kind of unnecessary. 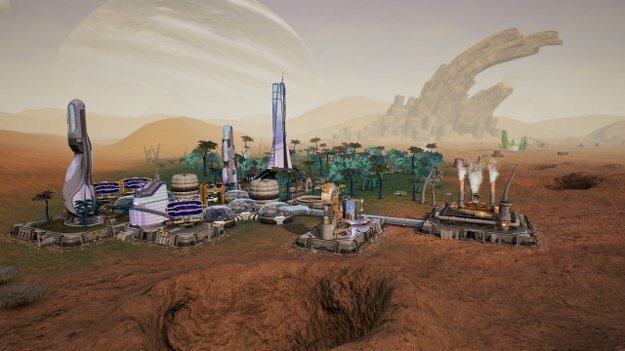 Aven Colony has a very limited amount of buildings you need to deal with and even less actual problems to monitor within a colony. 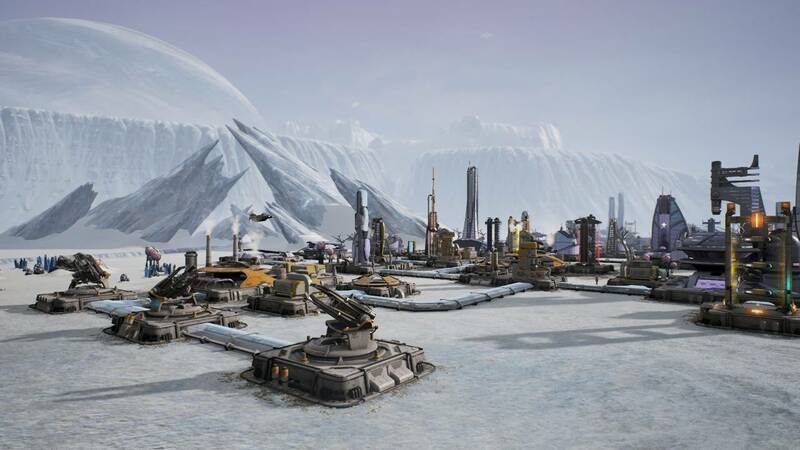 When you look at the menus you might initially think to yourself “That’s a lot of buildings.” but you’ll quickly realize that’s only because the construction wheel has all the various upgraded forms of buildings on it. For example, when looking at the wheel you might see nine choices for drone structures only to realize that it’s only three actual buildings. On top of that there’s only really six different things to manage in your colony. Food, water, electricity, air quality, morale and minerals. Each of these things are pretty easily figured out with very slight confusion. Food is a bit odd in where they must be placed but easily figured out. Air quality needs to be placed near certain other buildings to cancel out their negative impact on the colony, that’s fine. Honestly only morale requires any explanation. There’s various types of morale to deal so explaining this makes some sense. The rest of it is so basic it doesn’t really need the hand holding. I can see what the developers were doing, and why, it just doesn’t feel necessary. There is a nice series of complications brought on by the planet though. 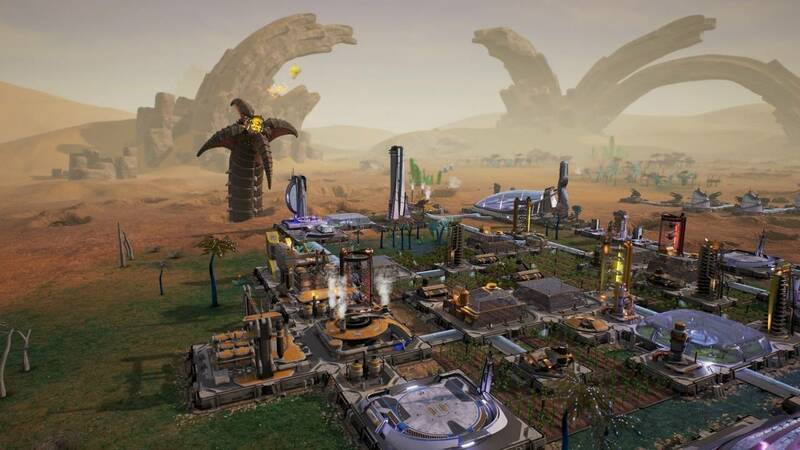 You’ll have to contend with alien plague spores infesting your colonists, giant worms and shard storms damaging your buildings or alien fungus infecting your buildings. 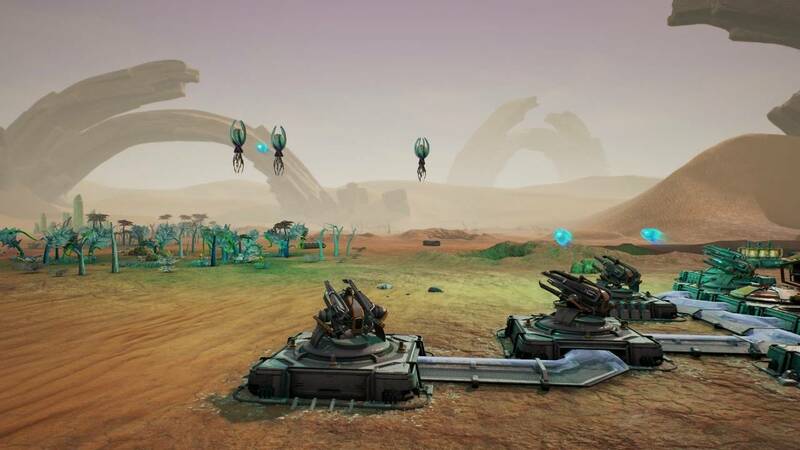 Each of these have a counter to them, mostly involving setting up turrets and hoping they shoot them down, but these act as natural disasters would in a game like Tropico. You can even have workers who refuse to do their jobs due to unhappiness requiring you to use social directives to force them to work, only serving to upset your people even more. 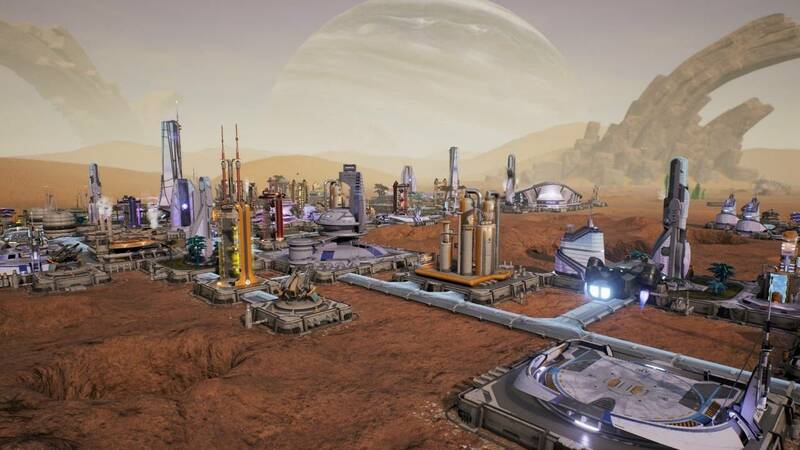 Another issue with Aven Colony is it’s one of those games where every level you’re starting from scratch. 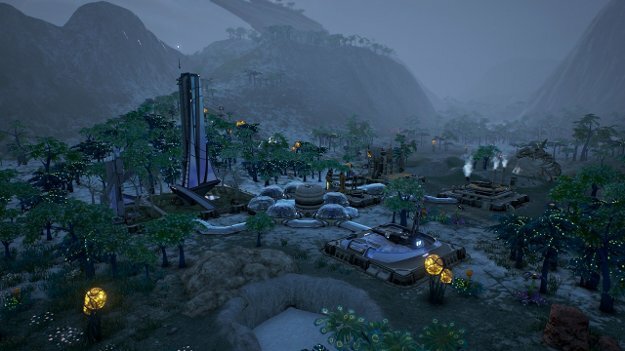 I realize that this is to let you build your colony in your own way but it tends to make it feel like you’re not actually having much impact on the expedition. There’s only one mission where you take over a partially built colony and I found rescuing this screwed up mess to be one of the more enjoyable missions. That said, this simplicity does work out in the games favor. There’s almost nothing stopping someone who isn’t great at strategy games from picking this up and having a good time with it. 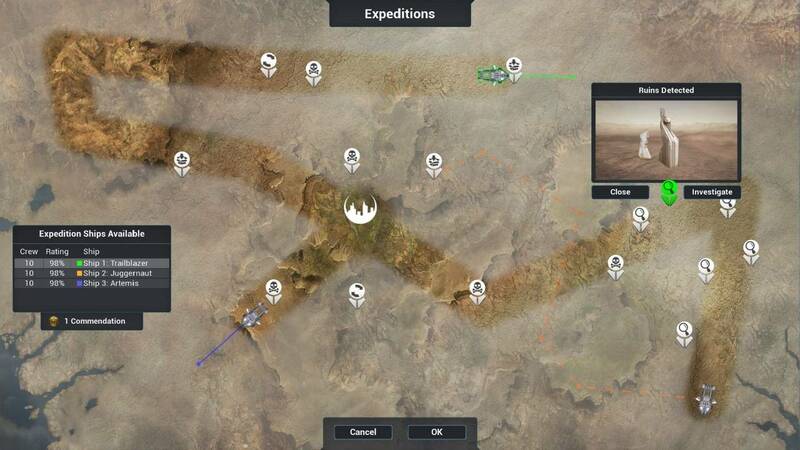 Within about two hours of starting the game you should know everything you need to know to start messing around in sandbox, upping the difficulty on the campaign missions and everything in between. Some might not appreciate this and find the game lacking in complexity but there is something to be said for a game you can sit back and relax with. Perhaps the biggest problem here is really the visuals. While the alien planet is beautifully realized the colony itself is just intensely boring to look at. Most buildings can be told apart with time but some are incredibly samey. For the longest time I couldn’t tell a storage depot from the chemical refinery or mill. 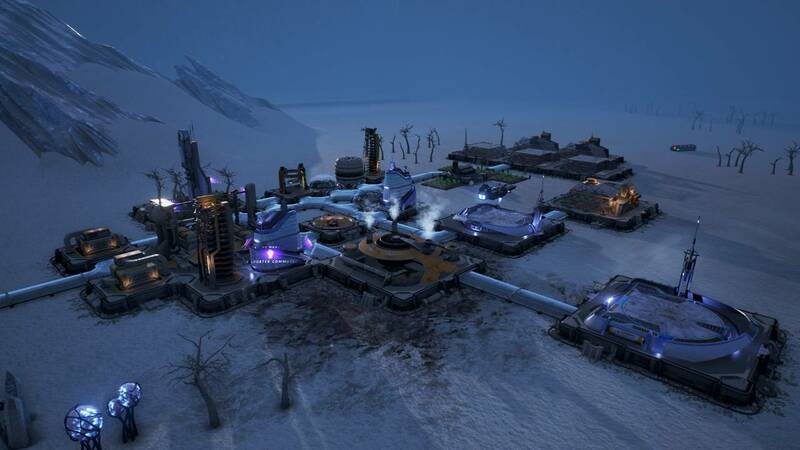 The palette for the buildings should have really been expanded on. Some of the most important buildings, like residential or entertainment structures, are easy enough to tell apart. I just wish that had been extended to the rest of the game. 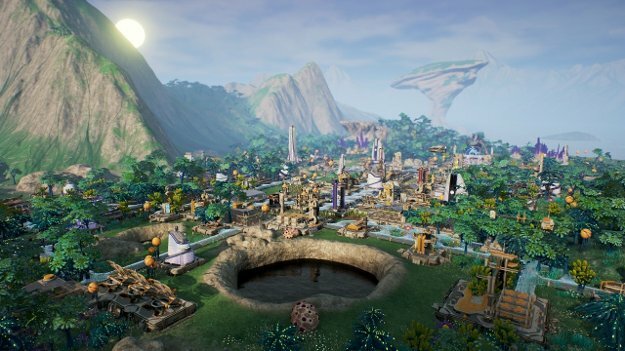 One place where Aven Colony did not disappoint is the sound department. I didn’t expect much when I found out that the campaign was voiced but each of the five voice actors does a very good job with their character. More importantly though is that the music for the game is so intensely relaxing that it just helps ease you into the experience. If I really had to boil Aven Colony down into one word, that word would be relaxing. It’s not the most aggressively deep strategy game on the market nor the most difficult. 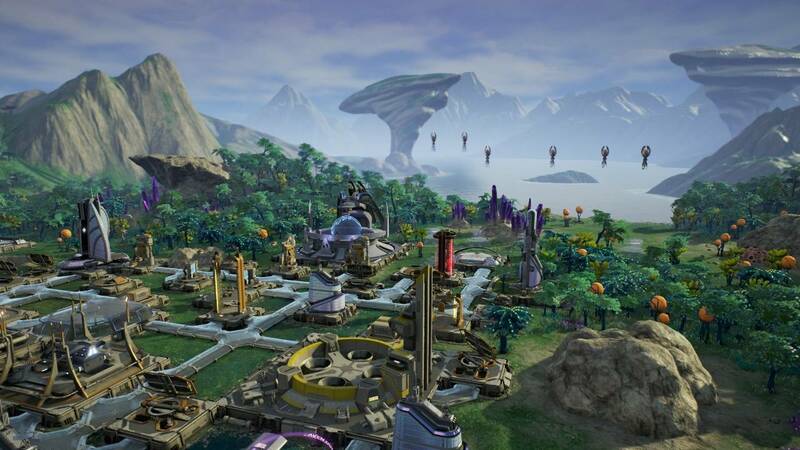 This is a game that is content to let you sit back, enjoy the music and build an awesome colony on an alien planet. Sometimes that’s really all you want for your money. If you’re coming into this expecting a very deep, challenging experience you will very likely leave disappointed.